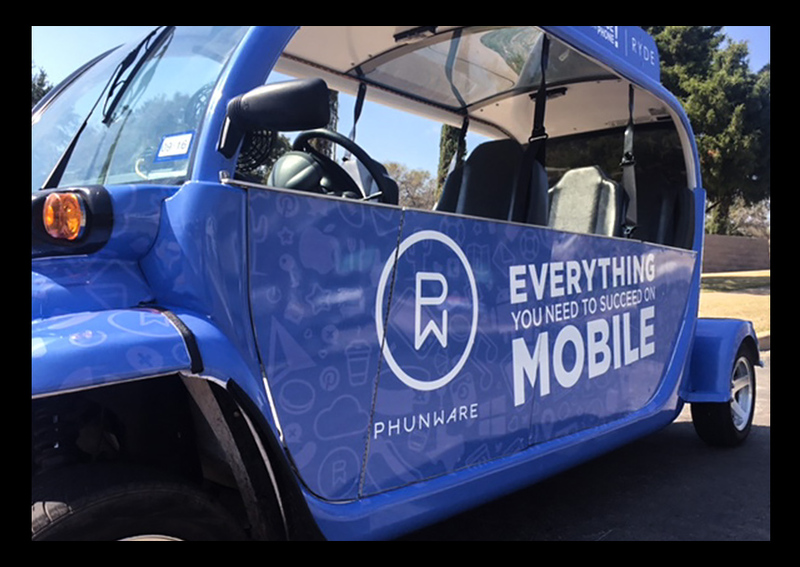 Identity branding for the Phunware PhunmMobile. 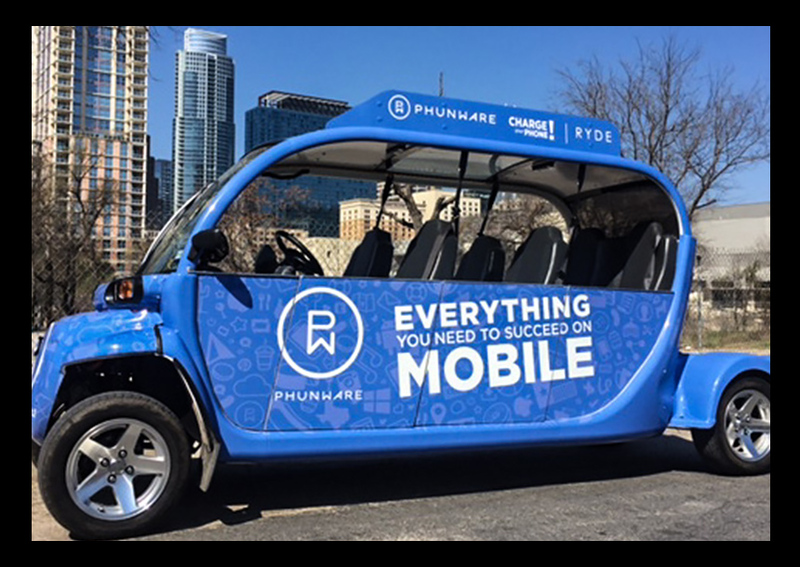 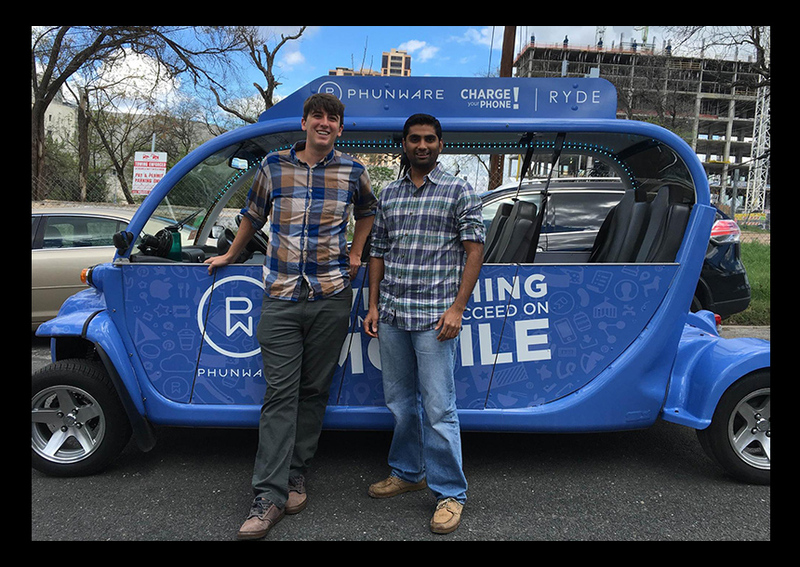 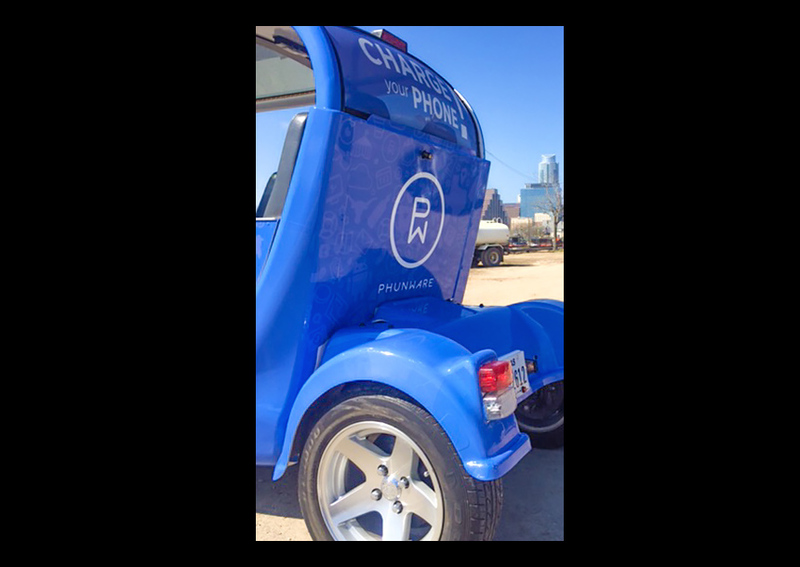 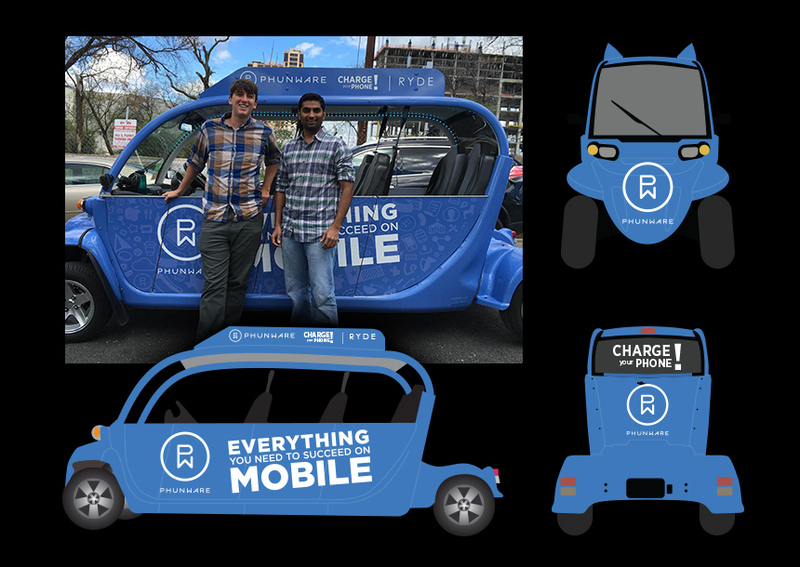 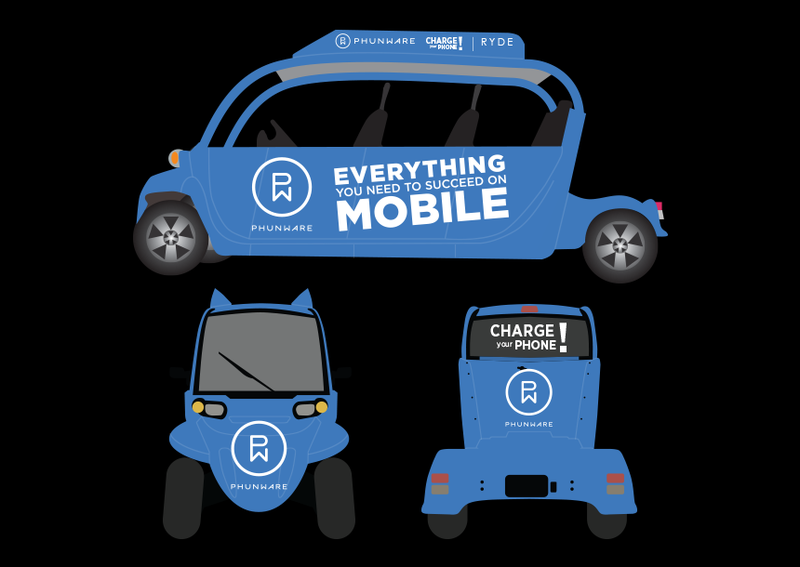 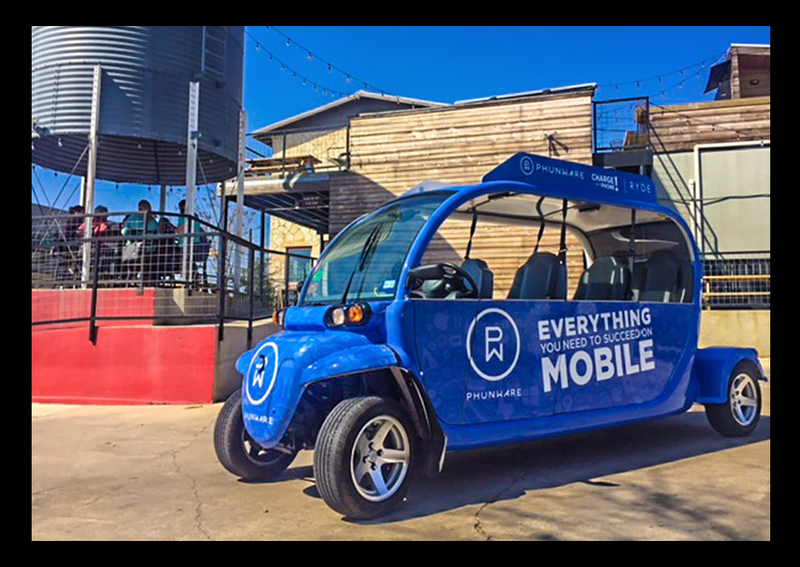 This Ryde cart wrap design was designed to promote awareness of Phunware with $5 rides during SXSW in Austin, Texas. 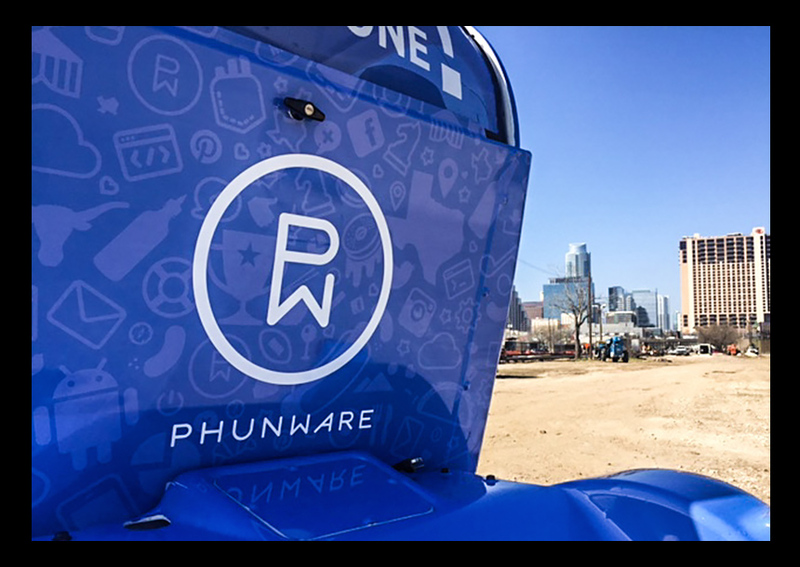 Design incorporates Phunware branded icons, logo, and tagline.